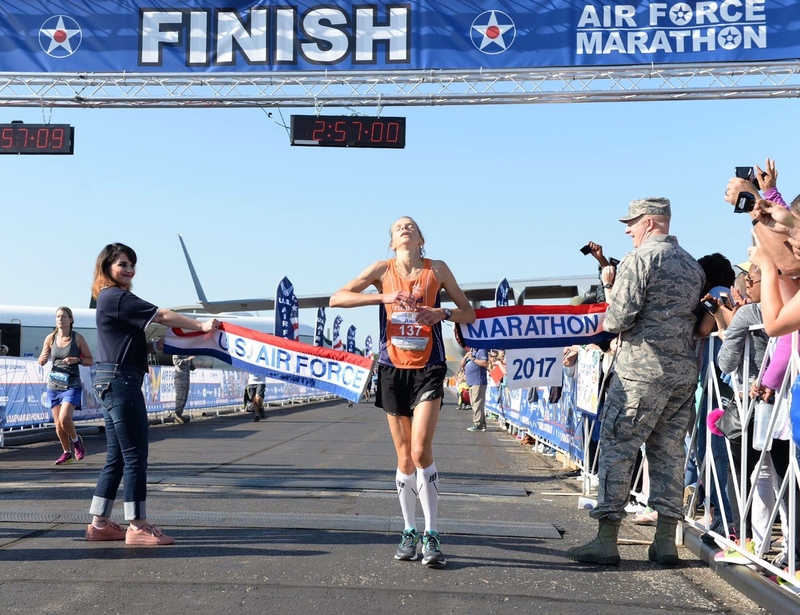 Ann Alyanak Wins The Air Force Marathon | Run S.M.A.R.T. Alyanak overcame rising temperatures and a beating sun in clinching her win on a route she said was enjoyable, though a little more than she initially believed. “It was a good course. The middle of the last 10K was a little hillier than I thought but it was good,” she said. 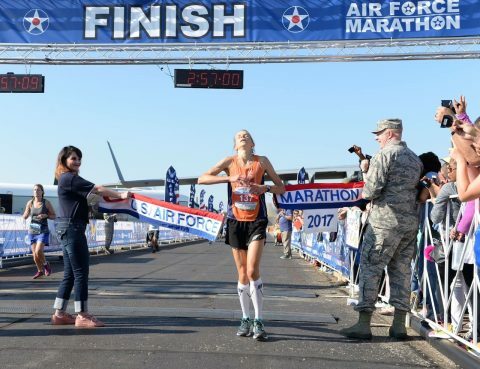 This was Alyanak’s first attempt at the Air Force Marathon, an event that is more than just a run to her.